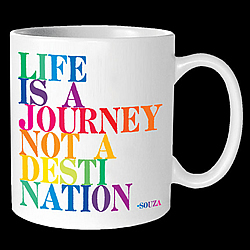 Quotable’s wonderful quotes and distinct style are now available in the high quality 14-oz. ceramic matte finish mugs. The mugs are individually gift boxed for gift giving.